I woke up very early this morning, and I have been meditating in Matthew 3-6 for the last two hours, and it has been so good for my soul. It has been a wonderful life. I only say this because I am in the midst of a cancer scare. Four suspicious spots on my skin. I went through a lovely Christmas day and wondered, "Will this be my last?" I walked in the glorious sunshine and said, "If it is, I submit to Your will, Lord. It has been nothing but a beautiful life that I am so grateful for." The next day gave me time to think and grieve a bit. Not that it is cancer, but I will not know until after January 5th the result of the two biopsies. Then I have to wait until January 29th for the other two biopsies. Then I have to wait for the results of those. I think it is not dying that is often hard, but it is the waiting to know. Merry Christmas from the Weavers! ·How many books did you read and did you meet your own personal goal? My personal goal was 52 books, and I just made it this year. This is the fewest books I have read in years, but I am trying sit less to keep my back healthy and the weight I lost two years ago off. I already sit a long time, as I am editing my Bible Book Club blog and taking it off of the internet and putting the posts in my word processor. (I am reading my “soon to become” eBooks, but I did not read as many of other people's books.) I will be done with editing in early 2015 and can get back to regular reading.It was also the first year since 2003 that I was not working through some "list" of best books to read. It was great to read free of "lists"!I have hyper-linked all the books that I mention in this post to their reviews that I posted in 2014.·Most thrilling, oh my goodness, I want to read it again, unputdownable book? 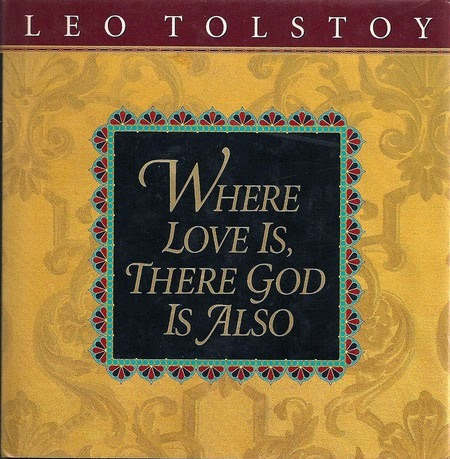 This is three short gospel stories by Tolstoy. I bought this book years ago, and I vaguely remember reading the first one to my boys and their two friends around Christmas, but I had not read the other two stories. "Where Love is, There is God Also" is a precious story about a cobbler who encounters Christ. Perfect to read on the eve of Christmas Eve! "The Three Hermits" is a story about prayer. "What Men Live By" is the longest of the three, but it hooked me in. I love the librivox narrator on this one too! I once had an ancient copy of this book, but I can no longer find it and think it went away in the "move to Malaysia" purge of 1997. I read it back in the 80's and forgot about it. I do not remember being thoroughly impressed even though it was highly recommended. I was offered this free version on 9/27/10 and put it on my iPhone with hopes of listening to "someday," and that came this week. It is an updated audio version, and it hit me right where I have been lately. I led a leadership class in 2005-2006, and I wish we would have read this book instead of the silly one we read for that class (not my idea). 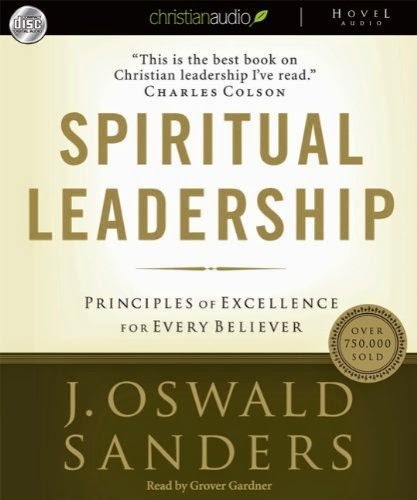 I would say this is probably the quintessential book about leadership come out of an overflow of our relationship with Christ. Our motto in training people continues to be, "You cannot give what you do not have," and this is precisely the undercurrent of this whole book. Two of my Favorite Things Combine! 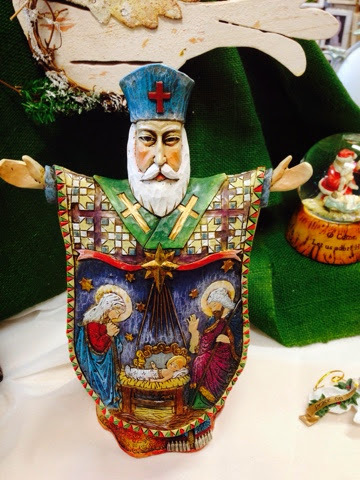 I wondered why I had not read as many books in December as I usually do because our ministry usually takes a December break, and I am usually not one to be a busy Christmas person. Then I realized that I read through the devotional book that I wrote last year, and I should count that as a book even though I wrote it! LOL! I am a certified Messiah nerd. It all started when I ordered the John Rutter version of Messiah (in the picture above) several years ago. I had never actually listened to the WHOLE Messiah. So, I did it for Christmas. When I was crying in a pile on the floor when I got to the Hallelujah Chorus, I knew that I was nerd certified. 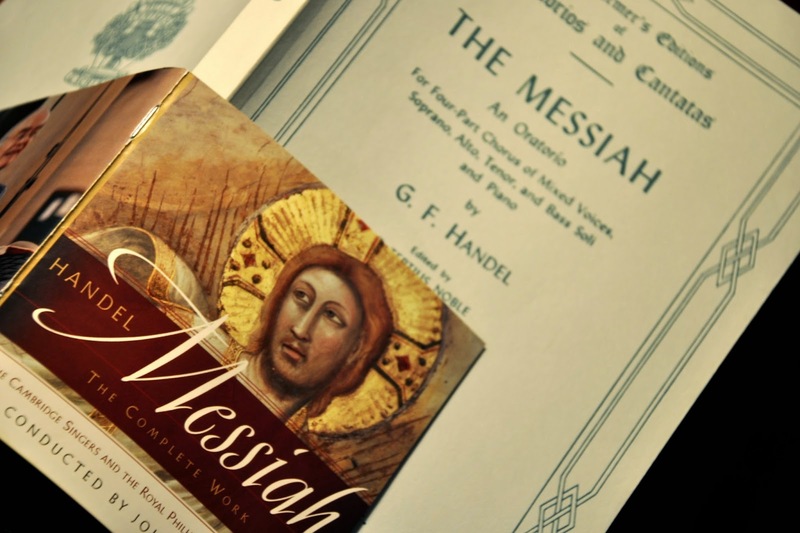 I started the Bible Book Club in 2008, and I added the words to Messiah at the end of YEAR TWO (2009) because it is such a great review of the Old Testament! This is my third time reading this book in one year. I think this is a record. It is because our ministry reads it, and I always read it again with them. I do believe this is one of my top ten favorite non-fiction books. It is such a challenging read. It has been my lifelong desire to have a 24/7/365. Last week, I had two of what will be four biopsies on suspicious spots on my skin. I have no results and must go through Christmas before I hear. Reading this again brought such comfort to my soul. God is always with us. It is all about a relationship with Him. I listened to this with a whole new perspective on my own immortality. So what that I am out in the open part of the library, and there was noise from the electronic equipment of the son of the family sitting next to me. My quiet was shattered. For 1 1/2 hours I was on a roll starting my Bible Book Club for Matthew for YEAR THREE (Yes, I am over a year ahead of schedule in my editing!). The only other people was an older man quietly reading and a young 20 something quietly scrolling the internet. No problem! I am prepared for unnecessary noise! So, I get out my noise canceling headphones; and "For Unto us a Child is Born" comes blaring out. A son was given to that family. They feel self conscious but infinitely more important in this life is that UNTO US A CHILD IS BORN - bless the son that you were given, dear family next to me. Make as much noise as you want. It will join with me as I praise GOD this morning. This was recommended to me by a nun at the Mount Angel Shalom Prayer Center after I told her that it is my dream to walk the Camino de Santiago. I waited until I could find a good used copy. It was worth the wait. What a delightful read. It is written topically. Rupp is an excellent and easy writer. The lessons are applicable to our life's journey and not just to the Camino. I was a nanny in Santiago de Compostela from Columbus Day 1982 to New Year's Eve 1983. It was probably the hardest three months of my entire life as a 23 year old, out of the country for the first time and dealing with a bad living situation. It was also the best three months of my life in that it drew me ever closer to the Lord. Although I have long since healed from the effects of my three months there and gained much wisdom from the suffering I endured, I want to walk the Camino to that ancient city. I will probably cry like a baby when I arrive. God is good.